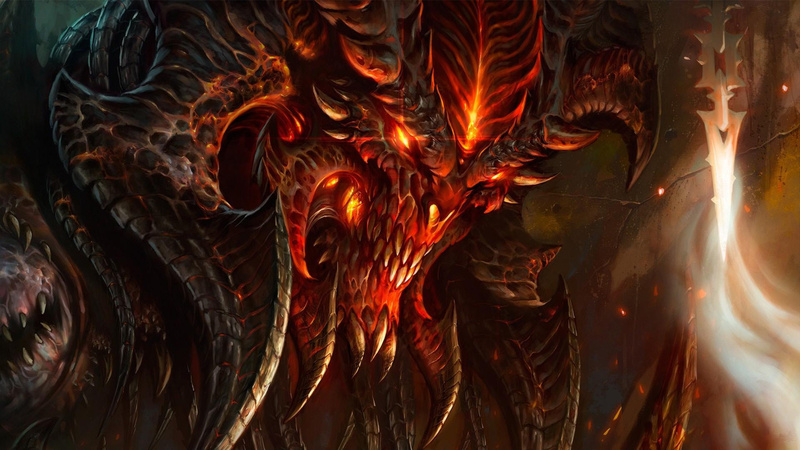 Today sees the introduction of Diablo III's Season 16, and there are plenty of goodies waiting for you when it eventually drops. 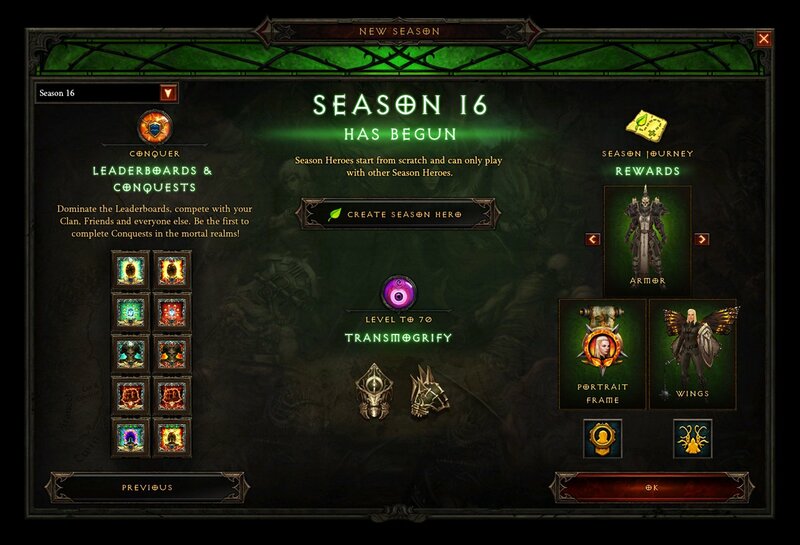 Season 16 comes alongside a new patch, carrying with it a new theme in which all Seasonal players will benefit from the legendary power of the Ring of Royal Grandeur. 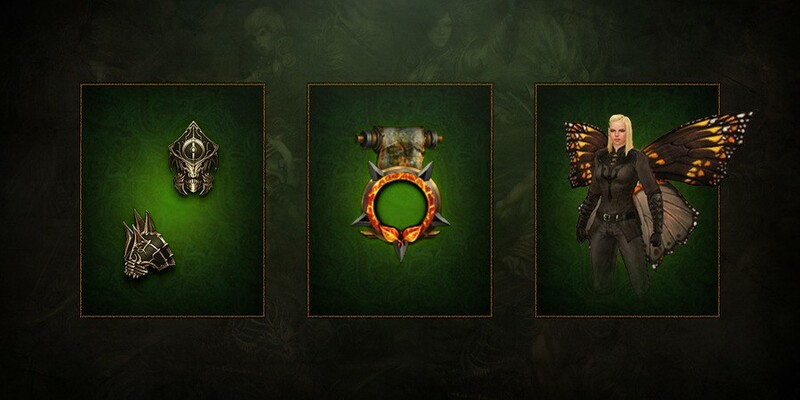 There are new cosmetic rewards to be had (as seen in the image below), new Season Journey rewards, new Seasonal Conquests as part of the usual rotation and much, much more. The full list of updates, for both the season and the patch itself, is a surprisingly long read. If you want to check out all of the details - including info on how to earn the rewards mentioned above - feel free to check out the full patch notes via Blizzard's blog post. Season 16 kicks off today at 5pm PST in North America, 5pm CET in Europe, and 5pm KST in Asia, so make sure to check back in at those times to check it all out for yourself. It is scheduled to come to an end around 17th March. Have you been enjoying Diablo III since it released on Switch? Will you be exploring the new content in Season 16? Tell us below. I neglected Diablo since Smash released, this gives me a reason to revisit. Myself and my son love playing this together. Such a fun game. Not sure if I'll get around to going back to it this season. Just so many other games to play at the moment. Can’t wait. Bought this on sale around Xmas but I’ve deliberately held off playing too much as I knew the season was starting in January. I've never played this game before arriving on the Switch and I'm loving it. It is such a great game and the port is excellent! Those butterfly wings are nice, but was kind of hoping on a new pet again. Nevertheless, new character today. Think I will go for Witch Doctor this run. Last season I had Necromancer (may he rest in peace...). EDIT: In addition to the Season of Grandeur deal, it looks like the Legacy of Nightmares ring got a huge buff. It'll be interesting to see how far we can make it without an actual set this time. nice, Just have to finish Dark Souls first. Down at Tomb of Giants now. Can’t decide between a monk or crusader, going to be a blast either way. I haven't made a season character yet, had to read up on it. That's a pretty interesting way to keep Diablo 3 fresh. @zionich I had only played D3 casually before last season. And by casually, I mean the most casual of casual, like the way you'd mess around with Smash with some friends on the couch. When I jumped on Season 15 after the Switch release it was like a wake up call of how far down the rabbit hole the game could go. EDIT: More to the point, the Season is the only way to really start from scratch. If you've played any offline characters, you start to see how they share resources and build off of each other. If you get stuck on one, you can switch to another to build up supplies or levels, then they carry over. The season is the only way to really start from scratch, and it's glorious. Hmmmm. I want that portrait frame. The armor too. But I don't have a mobile phone to pl....... Oh wrong article. This is a great way to pull you back into the game. I promised my bf I'd make a season character once last season ended and I do like those butterfly wings. Not too jazzed about the butterfly wings, but the portrait fame is kinda snazzy. I just wish you could see the portrait frame in-game instead of only in the character selection screen. The only game that takes me away from ARMS from time to time. My level 70 Wizard is getting boring. It sure doesn't feel like the Wizard and Sorceror on D1 and D2. I might try Demon Hunter this season because Amazon was my secondary back then on Diablo 2. Season not live yet, it seems. Hope it goes up soon. @Octorok385 That is some great information. Thank you for sharing. Console version, Season goes live at 5 PM Pacific Time. Which, for me, means 2 AM tomorrow (CET). Cool I didn't start Tristram yet because of Smash and I have Monday and Tuesday off. Good time to grind. I might make a Nerco again as the curses are now patched finally. I wanted to play diablo 3, noticed it actually starts the 19th, wth? I think I would hit 400 hours mark playing Diablo 3 on my Switch in the next few days. I'm so in love playing it on the Switch. I've played it on PC few years ago for at least 1000 hours. I would hit more than that on the Switch. @Spectra The season started right on time, not sure what you mean that it was suppose to happen a while ago. Still no mention of the promised voice chat. Can’t wait to start playing this looks amazing! 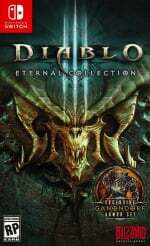 I never played Diablo before, im more a jrpg guy but everyone around me seems to enjoy this game so much. So can anyone recomend it for me. Thanks. Is the seasons just the same story over and over with different items available?